Online video entertainment has disrupted most legacy media companies that refused to acknowledge the market opportunities beyond traditional pay-TV services. This shift has become a global phenomenon. The impact and implications are far-reaching. Smartphone and PC viewers prefer short-form content the most, at 66 and 55 percent, respectively. Tablets viewers spend little time with mid-form video, instead viewing is evenly split between long-form (43 percent) and short-form content (44 percent). Connected TV viewers watch long-form content 92 percent of the time with AVOD services. Pay-TV service providers across the globe are responding to the emergence of agile video entertainment competitors. The over-the-top (OTT) television and video service revenues for 17 countries within the Asia-Pacific region will reach $18,396 million in 2021 — that’s up from $5,741 million in 2015. Britons will spend more on video streaming subscriptions and film/TV downloads than on buying and renting DVDs. Consumers will spend £1.31B on streaming and downloading in 2016 (23.7% more than 2015), compared to £956M on DVDs (includes Blu-ray), a 16.3% decline. 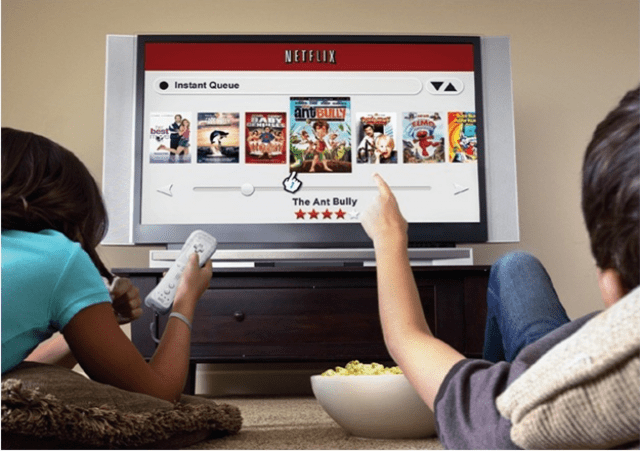 Over-the-top (OTT) video adoption continues to disrupt the legacy pay-TV market. In its latest analysis on the online streaming media adapter market, ABI Research examined the impact of new lower-priced devices and the mounting pressures within the global consumer electronics industry. Netflix continues to grow its user base in the U.S. market, with 126.9 million people expected to use it this year. That equates to 67.9% of OTT video users. Among the OTT service providers, only YouTube has more users than Netflix—176.1 million, which equates to 94.3% of OTT users. Parks Associates announced new international data showing OTT video usage in Western Europe is continuing to expand, with 55 percent of UK broadband households and 51 percent in France watching TV programming and movies online — that’s compared to 70 percent in the U.S. market.